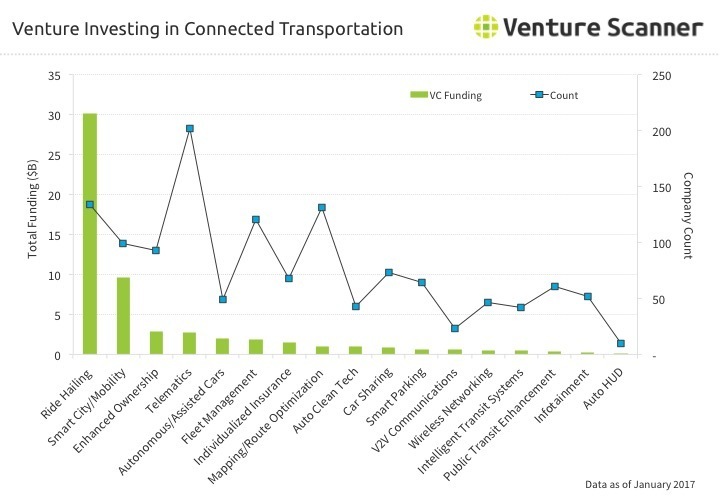 The following graphs highlight venture investing trends into the Connected Transportation sector. The graphics include data through January 2017. 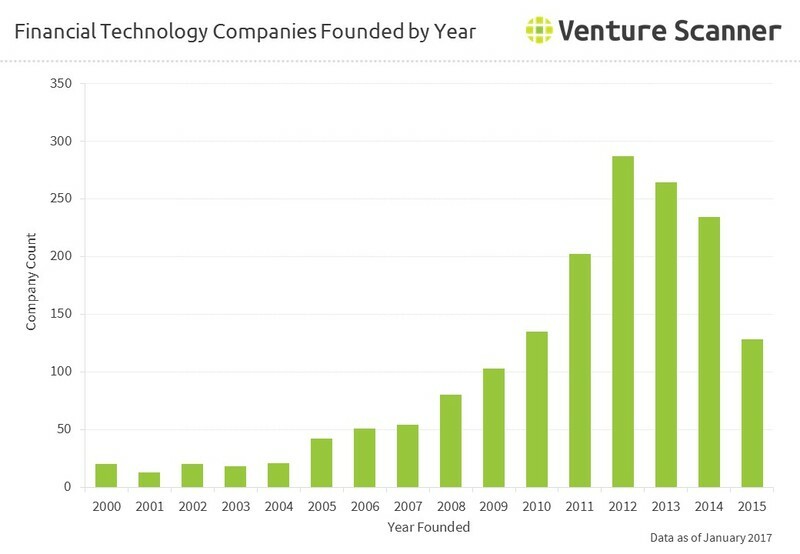 The above graph compares the total venture funding in each Connected Transportation category to the number of companies in the category. The Ride Hailing category takes the lead in total funding at just over $30B. Automotive Telematics has the most number of startups at around 200. 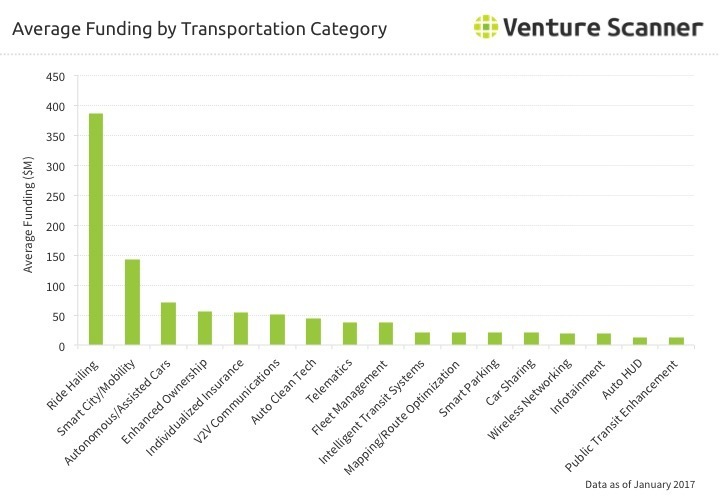 The above analysis summarizes the average company funding in each Connected Transportation category. The Ride Hailing category leads the sector with around $375M in average funding per company, followed by the Smart City/Mobility and Autonomous/Assisted Car categories. We are currently tracking 1,083 Connected Transportation companies in 17 categories across 65 countries, with a total of $57B in funding. Click here to learn more about the full Connected Transportation landscape report and database. 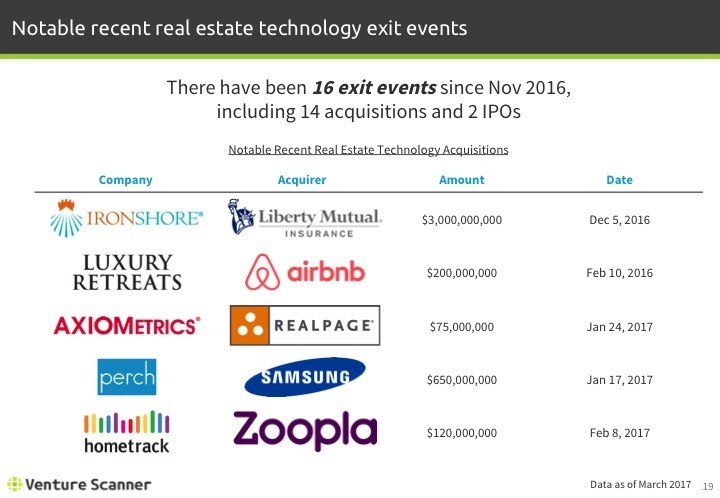 The following graphs highlight the exit activity in the Insurance Technology sector. The graphics include data through January 2017. 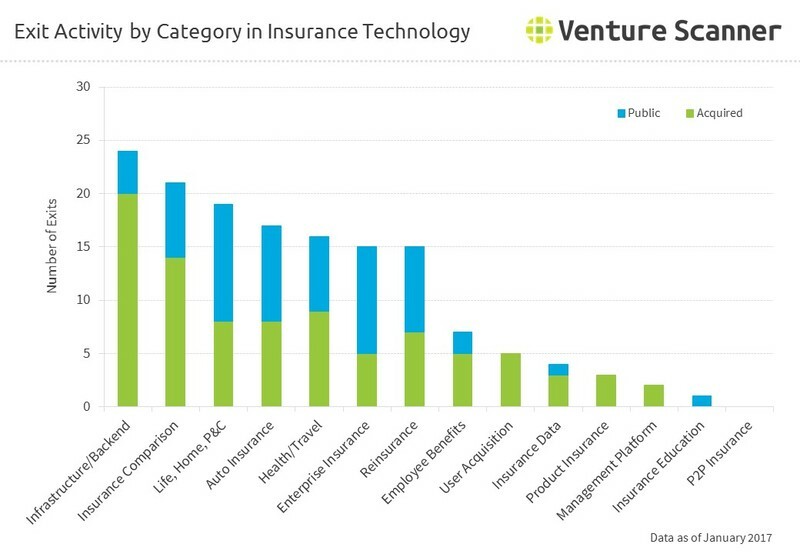 The above graph summarizes the number of exits (acquisitions and IPOs) in each Insurance Technology category. The Insurance Infrastructure/Backend category leads the sector with 20 acquisitions and 4 IPOs. The Insurance Comparison category is the runner-up with 14 acquisitions and 7 IPOs. 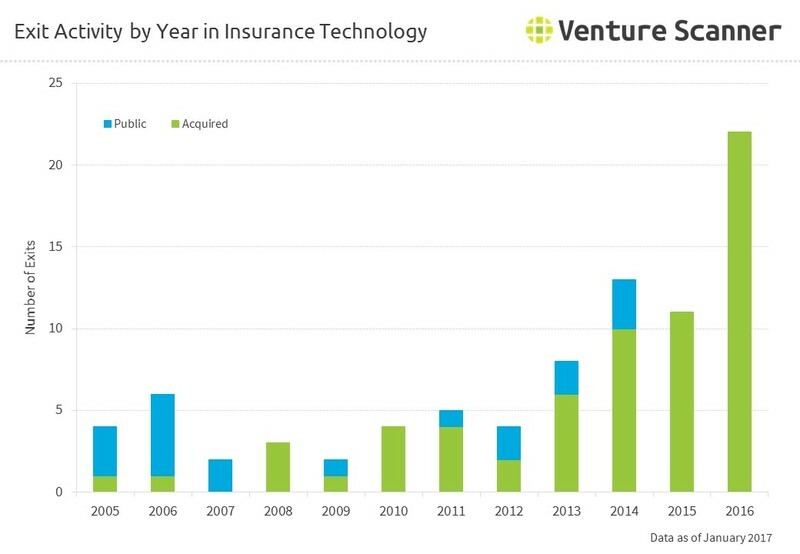 The above graph summarizes the number of exits (acquisitions and IPOs) in Insurance Technology by year. 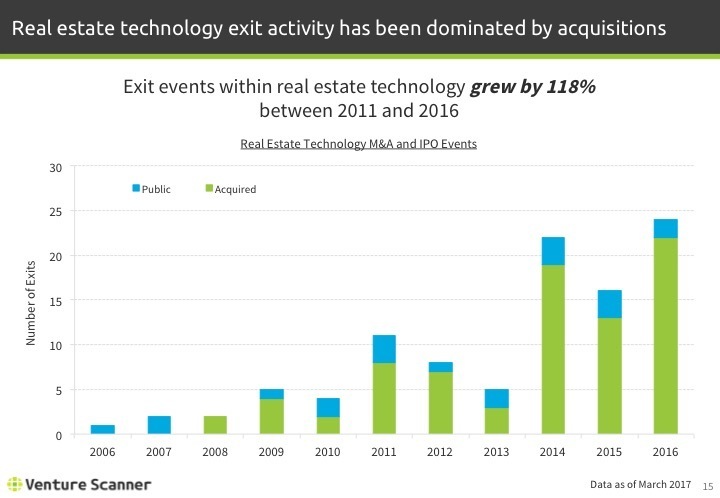 2016 currently leads the sector with 22 acquisitions. 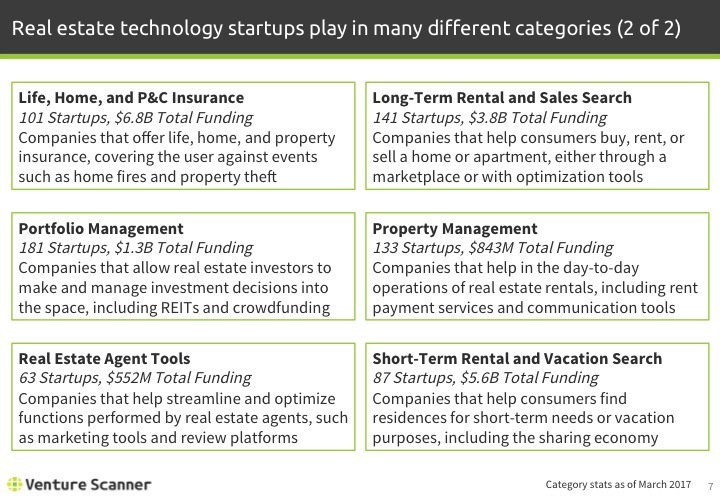 2014 is the runner-up with 10 acquisitions and 3 IPOs. We are currently tracking 1145 Insurance Technology companies in 14 categories across 57 countries, with a total of $17.5B in funding. Click here to learn more about the full Insurance Technology landscape report and database. 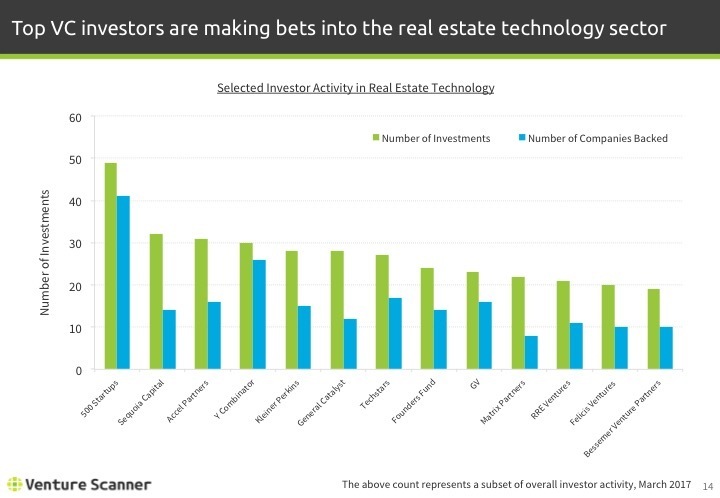 The following graph summarizes the investor activity in the Blockchain Technology space. Please note these graphics are made using data through January 2017. The above analysis summarizes the total number of investment rounds Blockchain Technology investors participated in, and the number of unique companies funded by selected investors. The Digital Currency Group takes the lead in both metrics, with over 60 total investments into the space and just under 50 companies backed. Other major investors include Blockchain Capital, Pantera Capital, and 500 Startups. We are currently tracking 914 Blockchain Technology companies in 12 categories across 73 countries, with a total of $2 Billion in funding. Click here to learn more about the full Blockchain Technology landscape report and database. 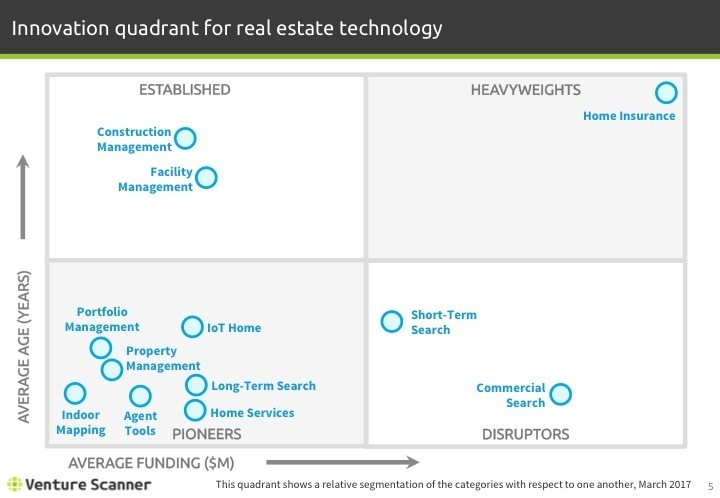 The following two graphs summarize the rounds of funding going into the Internet of Things space. Please note these graphics are made using data through October 2016. 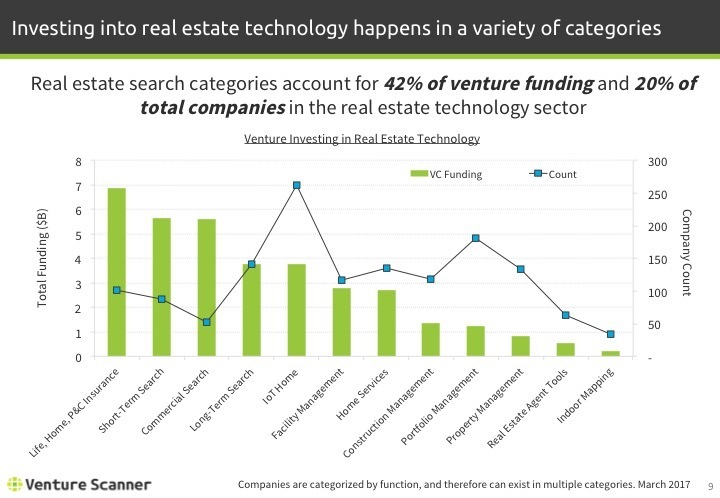 The graph above shows the total amount of VC funding broken out by round. From 2006 to 2016, we saw a general increase in the overall sector funding, with the total amount peaking in 2016. Up till 2013 all rounds of funding except for Seed saw approximately equal amounts during these years. 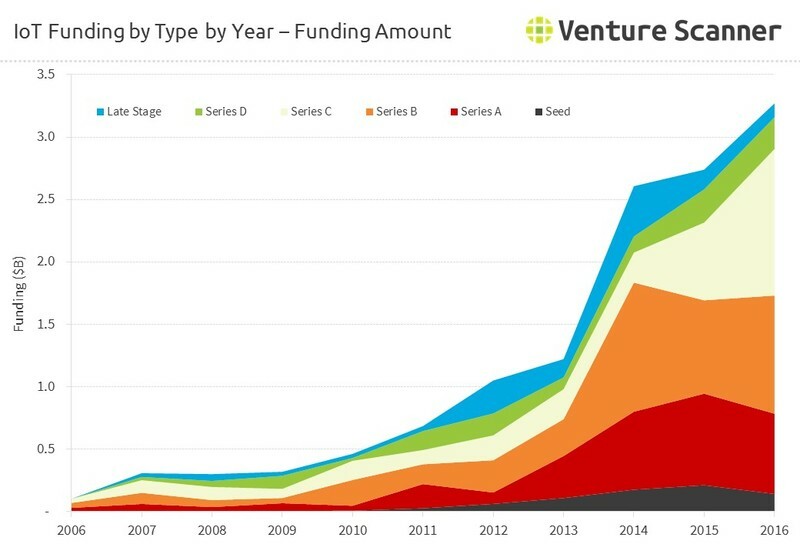 After 2013 earlier stage rounds (Series A, B, and C) make up a larger share of the total amount. 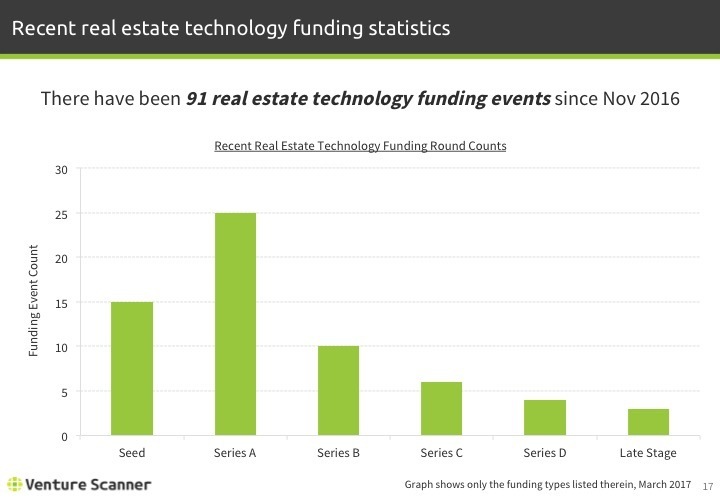 The graph above shows the total count of funding events broken out by round. From 2006 to 2015 we’ve seen an upward trend that peaked in 2015. 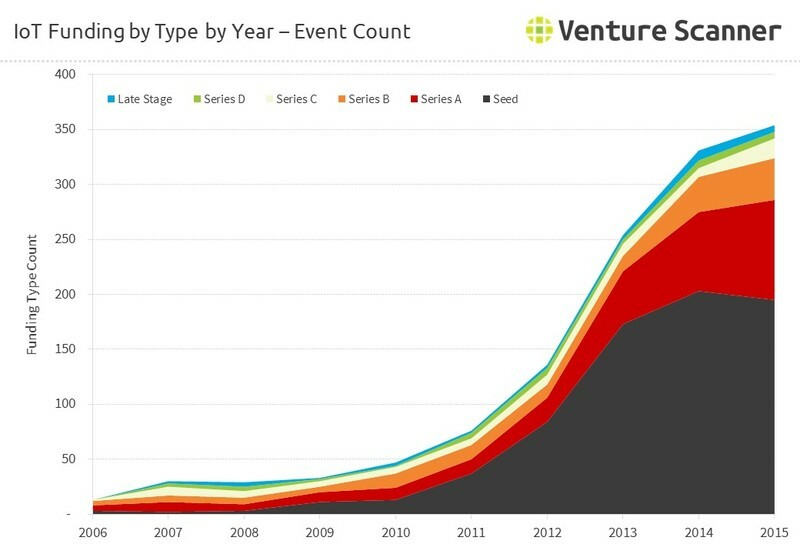 Earlier stage funding such as Seed, Series A, and Series B events make up the majority of funding event counts. 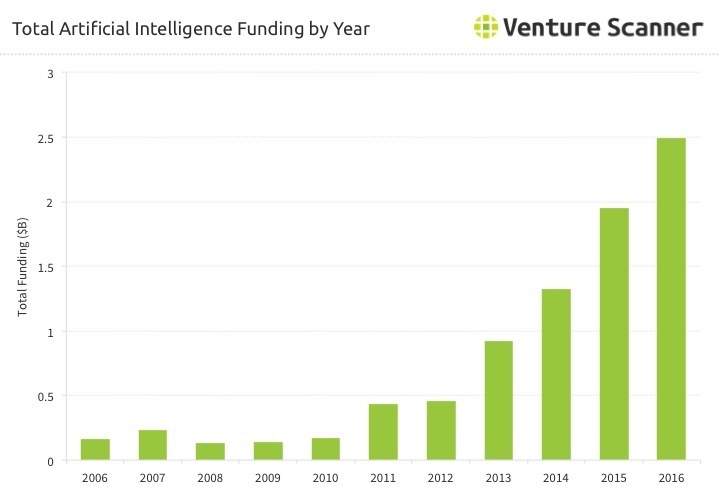 The following graphs highlight recent trends in Artificial Intelligence (AI) startup funding activity. The graphics include data through October 2016. 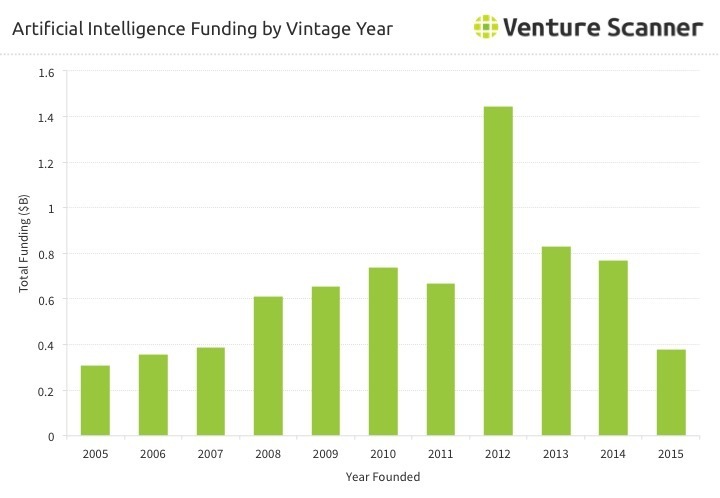 The above graph summarizes the total funding raised by AI startups for each year. 2016 is the best year with around $2.5B in funding. 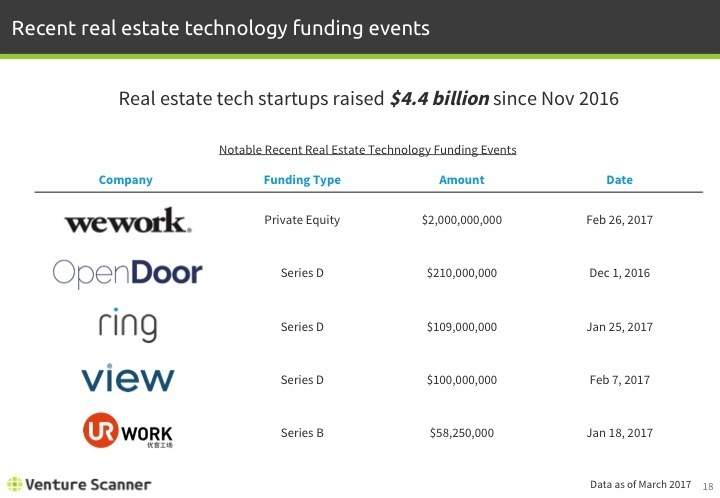 2015 comes in at second place at just under $2B in funding. The above graph summarizes the total amount of funding raised by AI companies founded in a certain year. Companies founded in 2012 have raised the most funding at around $1.4B. 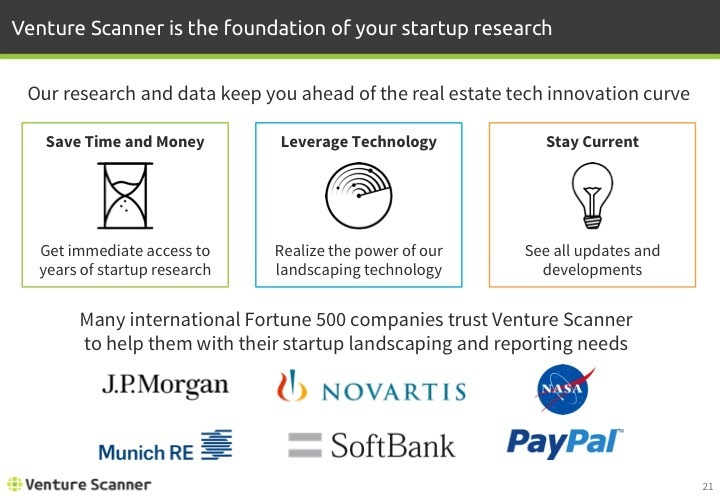 We are currently tracking 1,675 Artificial Intelligence companies in 13 categories across 70 countries, with a total of $13 Billion in funding. Click here to learn more about the full Artificial Intelligence report and database. 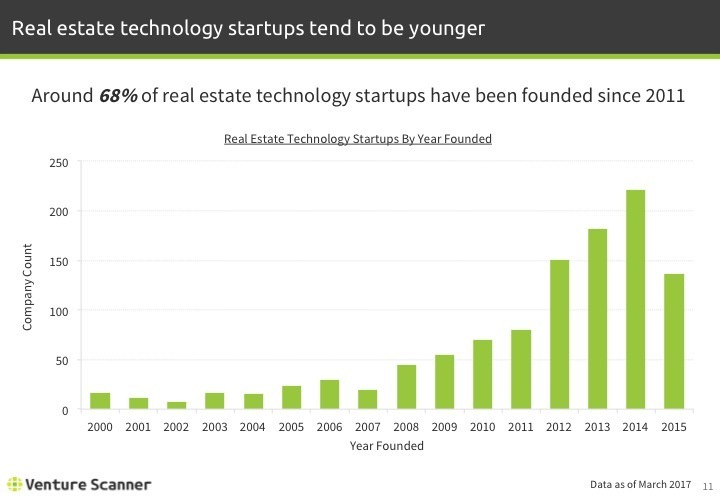 The following graph shows the founding year distribution in the Financial Technology sector. The graphic includes data through January 2017. 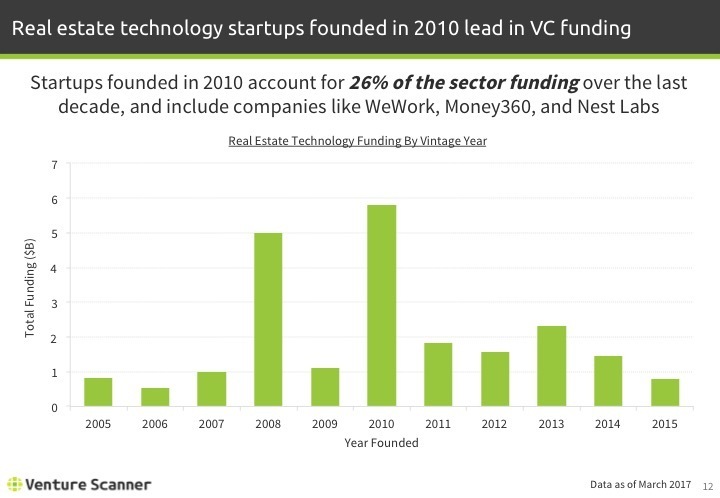 The above graph summarizes the number of Financial Technology companies founded in a certain year. 2012 ranks at the top with around 287 companies founded in that year alone. 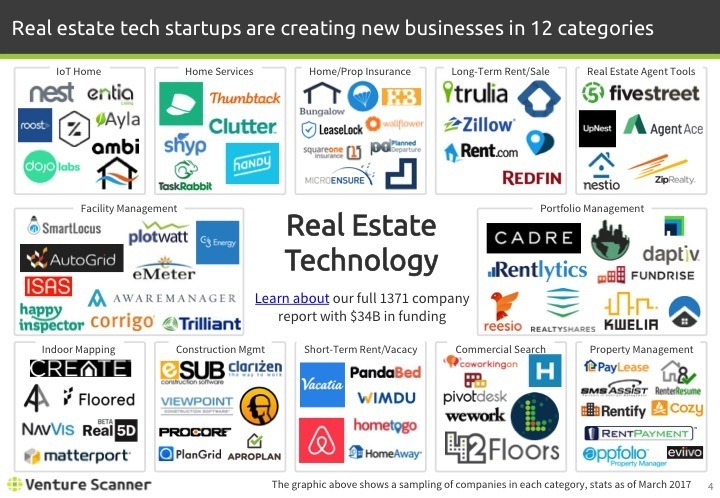 2013 is the runner-up with 264 companies founded in that year. We are currently tracking 2126 Financial Technology companies in 16 categories across 61 countries, with a total of $63.3 Billion in funding. Click here to learn more about the full Financial Technology report and database. The analyses below summarize where Virtual Reality (VR) innovations are occurring. The graphic includes data through October 2016. 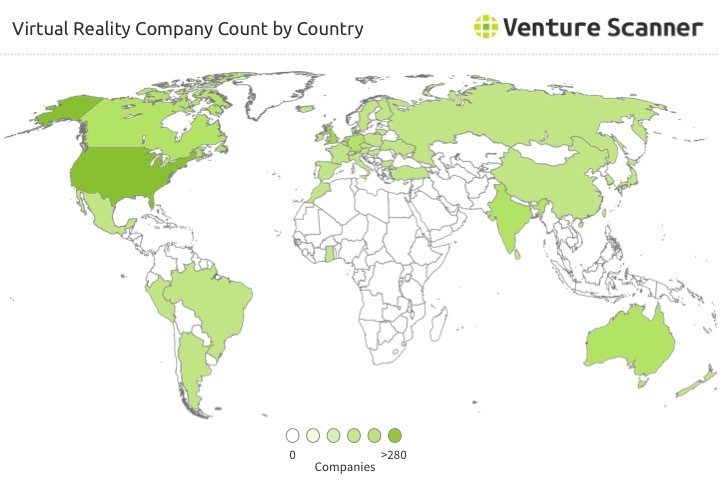 The above map shows the number of VR companies located in different countries. The United States ranks as the top country with around 280 companies. 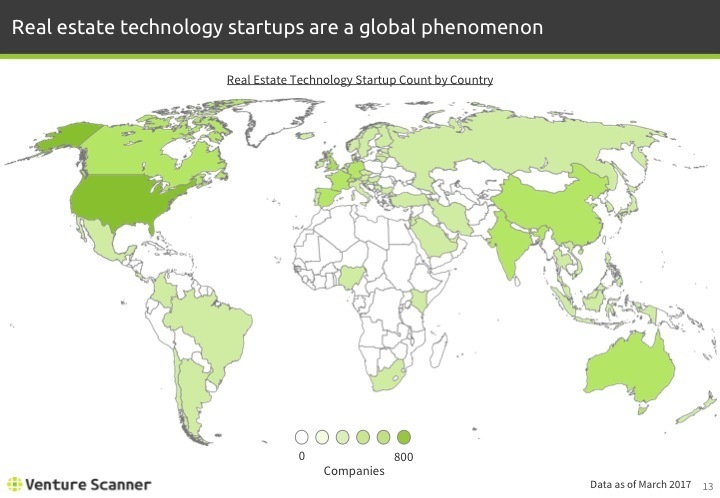 The above map shows the amount of total VR startup venture capital funding in different countries. 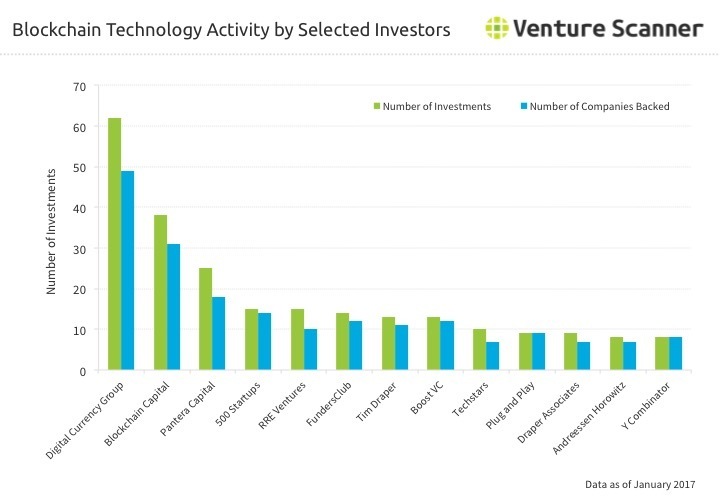 The United States has the most VC funding at around $3B. We are currently tracking 637 Virtual Reality companies in 13 categories across 46 countries, with a total of $4.6B in funding. 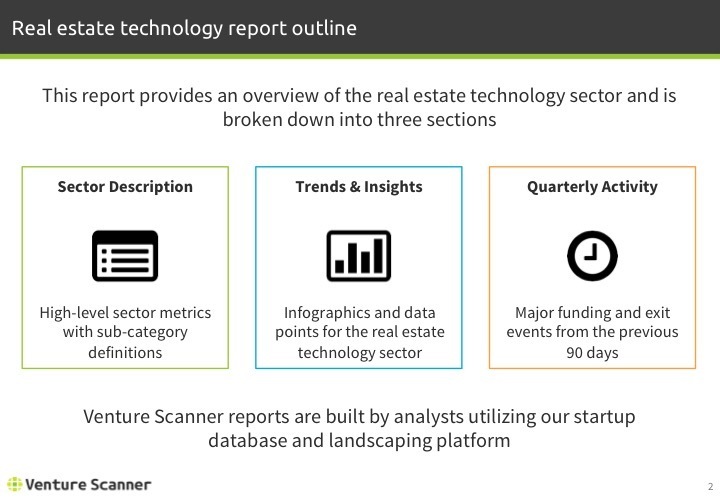 Click here to learn more about the full Virtual Reality landscape report and database. The following graph shows average and median age in the Energy Technology sector. The graphic includes data through October 2016. 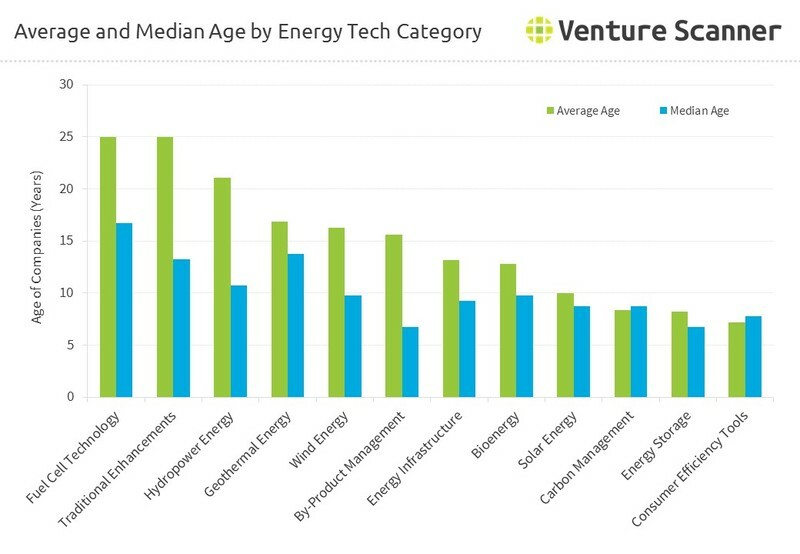 The above graph summarizes the average age and median age of companies in each Energy Technology category. The Fuel Cell Technology category and Traditional Enhancements category have the highest average age at 25 years, followed by the Hydropower Energy category with an average age of 21 years. Fuel Cell Technology category has the highest median age at 17 years, followed by the Geothermal Energy category with a median age of 14 years. We are currently tracking 743 Energy Technology companies in 12 categories across 46 countries, with a total of $44.3B in funding. 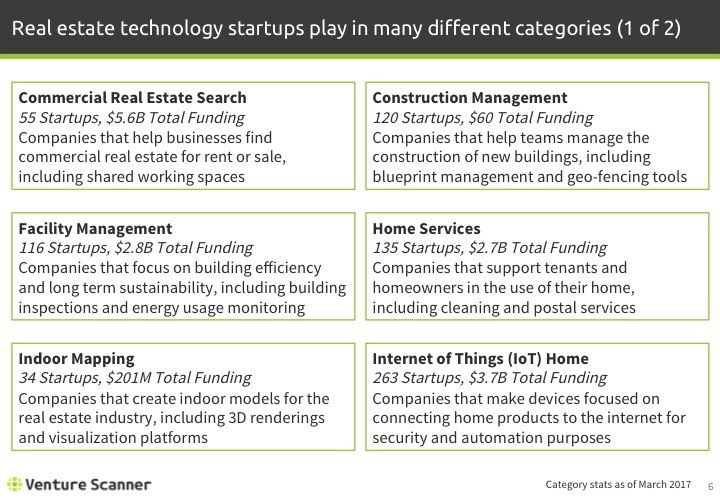 Click here to learn more about the full Energy Technology landscape report and database. 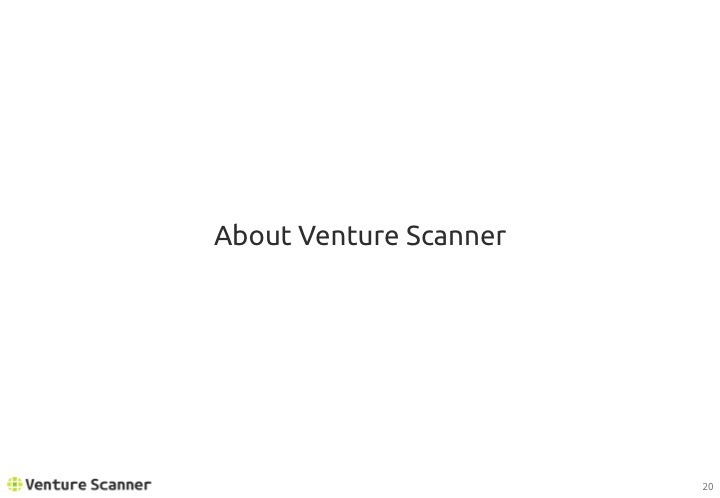 The following graphs highlight venture investing trends into the 3D Printing Technology sector. The graphics include data through March 2017. 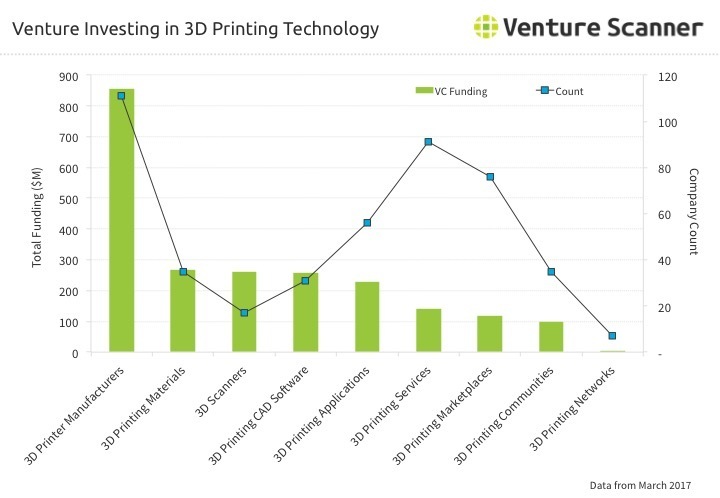 The above graph compares the total venture funding in each 3D Printing category to the number of companies in the category. The 3D Printer Manufacturers category is leading in both metrics, with just over $850M in funding and around 110 startups. 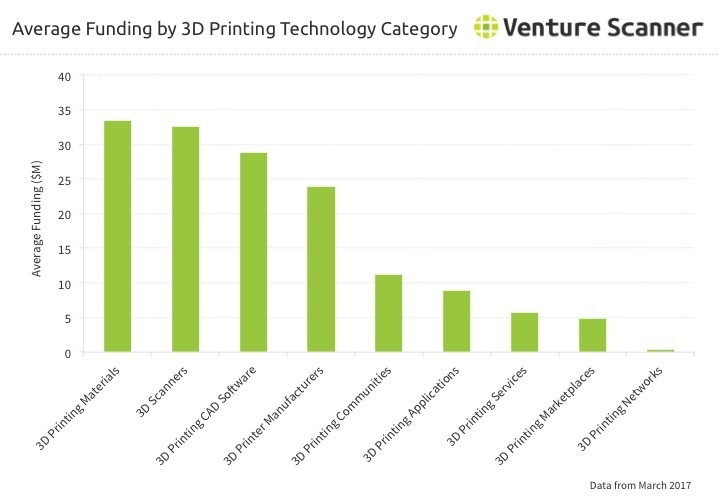 The above analysis summarizes the average company funding in each 3D Printing category. The 3D Printing Materials category leads the sector with around $33M in average funding per company, followed by the 3D Scanners and 3D Printing CAD Software categories. We are currently tracking 374 3D Printing Technology companies in 9 categories across 41 countries, with a total of $14B in funding. Click here to learn more about the full 3D Printing Technology landscape report and database. 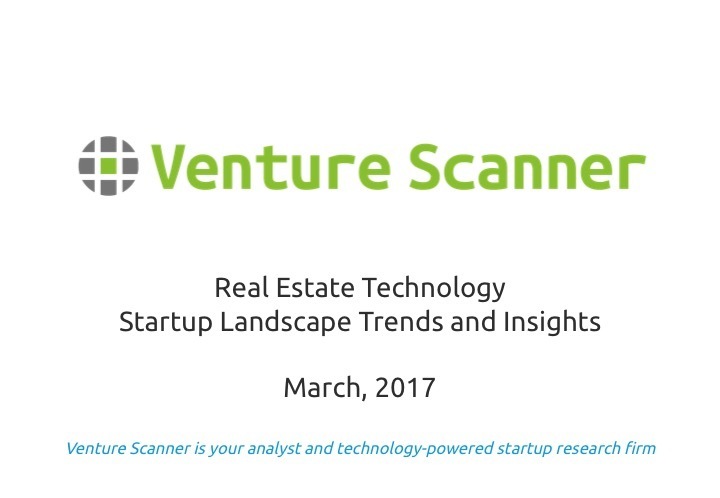 Here is our Q1 2017 summary report on the Real Estate Technology startup sector. 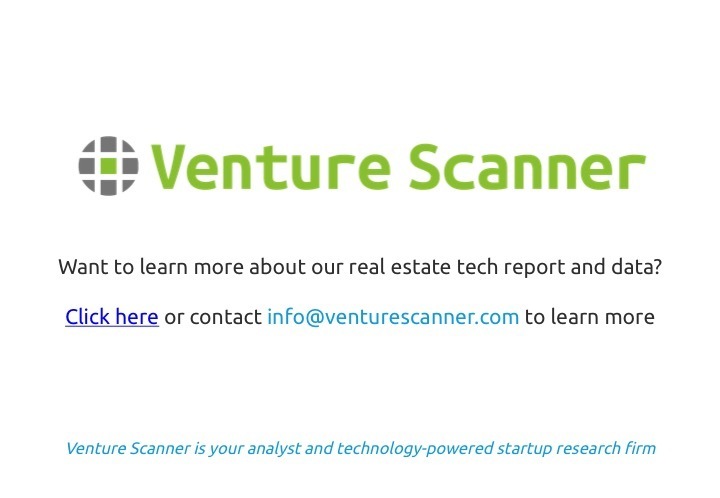 The following report includes a startup landscape overview, graphical trends and insights, and recent funding and exit events. 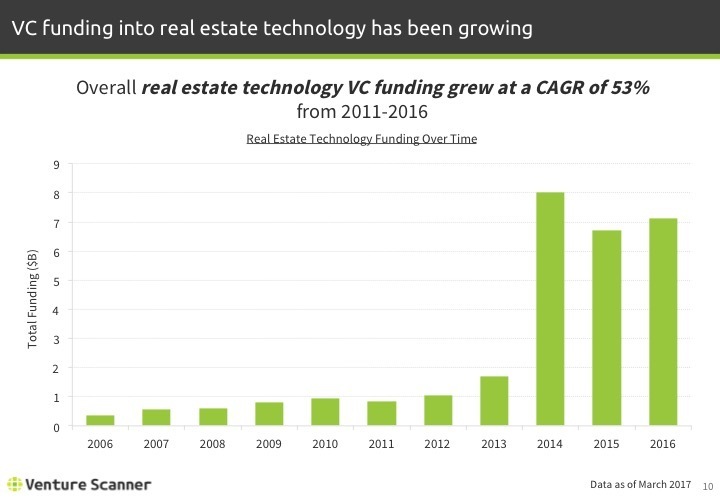 We are currently tracking 1,380 Real Estate Technology companies in 12 categories across 62 countries, with a total of $34 Billion in funding. 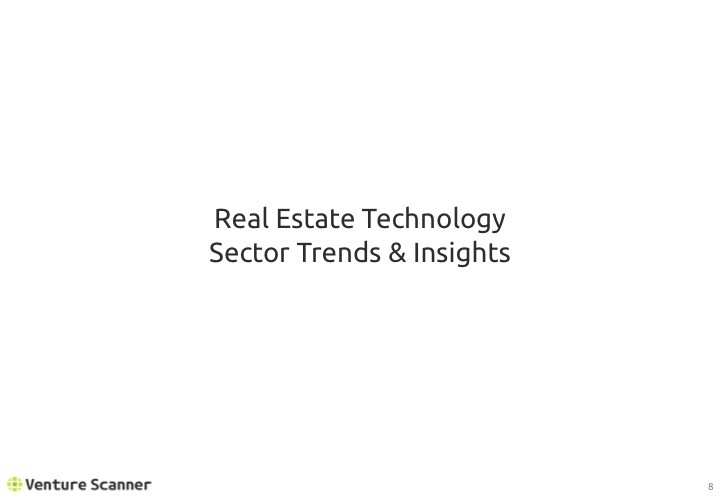 Click here to learn more about the full Real Estate Technology landscape report and database.